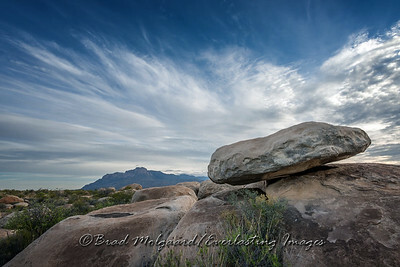 As with many photographers before me, I find the "peak" has been a great subject of interest. 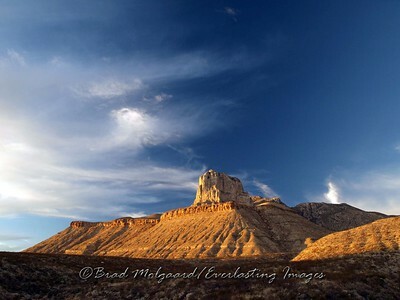 I find "El Capitan" so very different with each visit due to varying conditions. 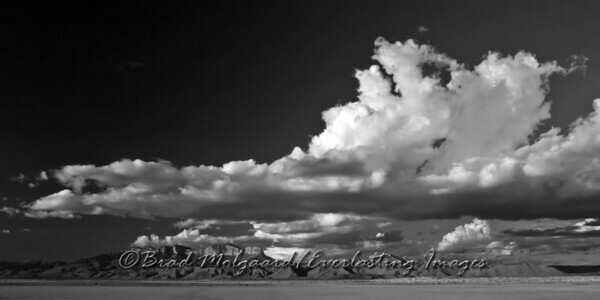 The photographs I've created of this site have been very popular with my clients. 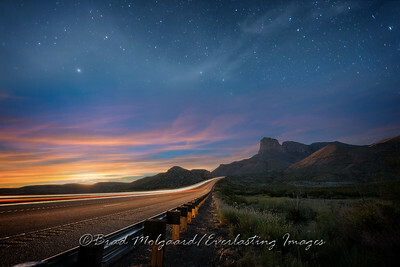 Title: Signal Peak at Sunset. 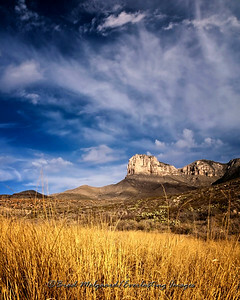 El Capitan at the Guadalupe Mountains National Park. 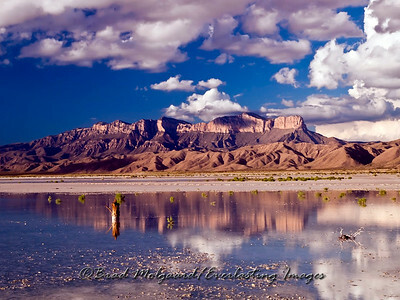 Guadalupe Peak, as seen from the Salt Flat are of Texas, after a heavy rain. 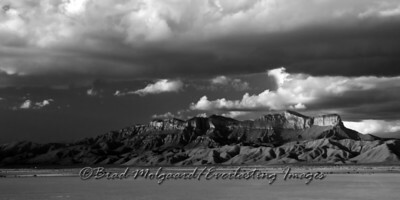 "Stratum" in black and white Guadalupe Peak, as seen from the Salt Flat are of Texas, after a heavy rain. 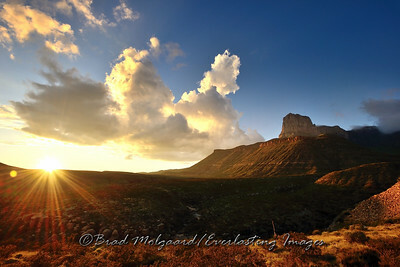 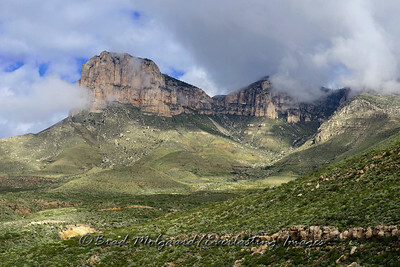 "Ray Of Sunlight" Guadalupe Mountains National Park, Texas. 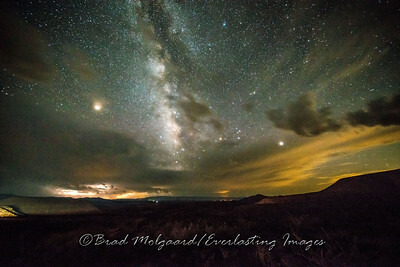 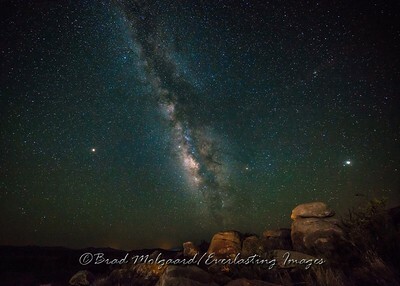 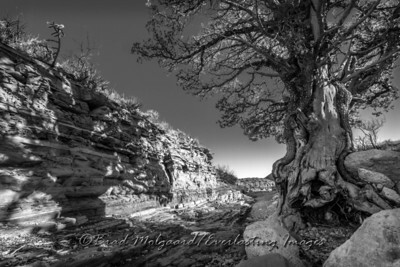 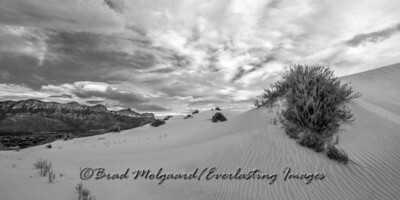 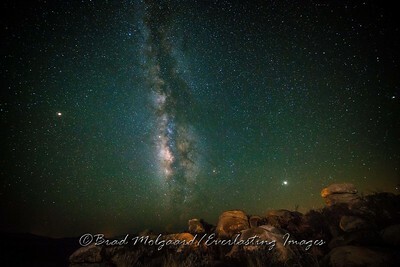 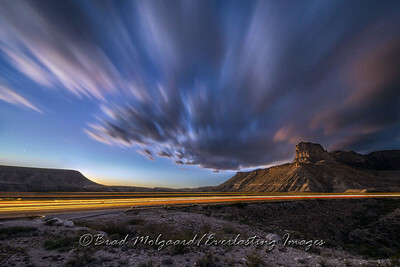 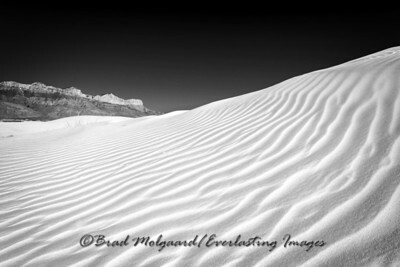 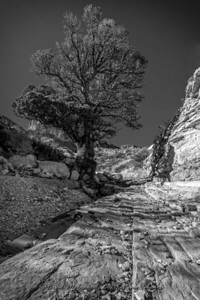 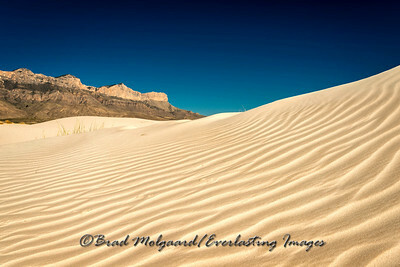 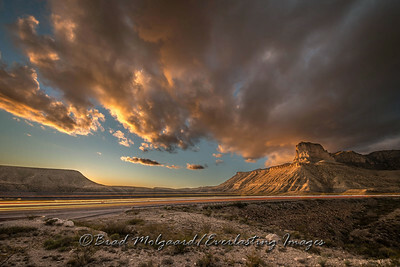 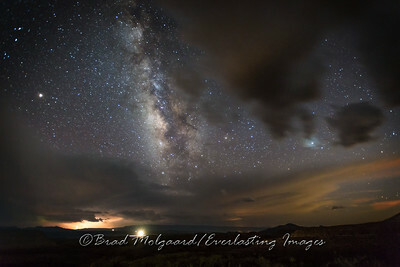 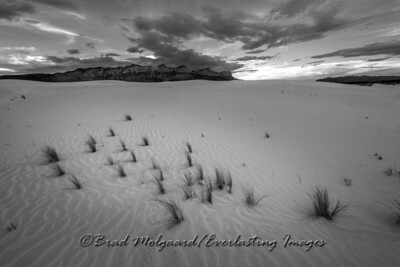 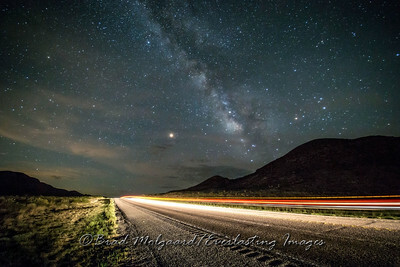 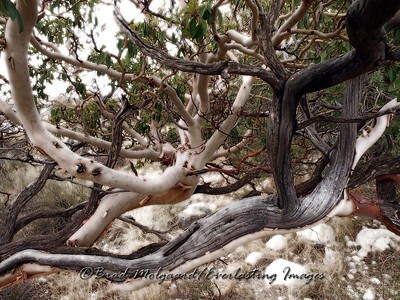 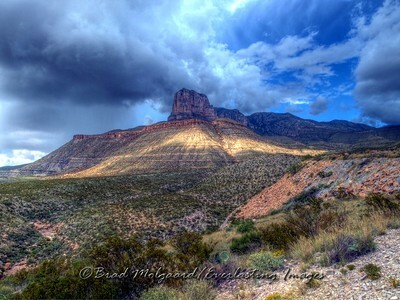 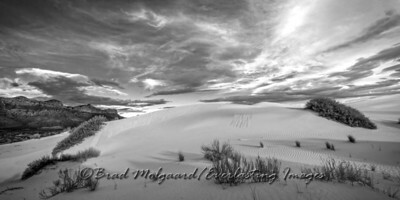 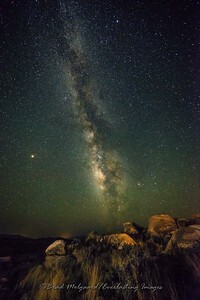 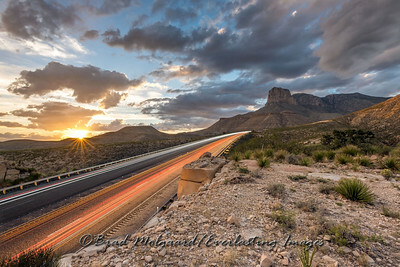 This image was given the "Peoples Choice Award" at the Images Show 2011 in Carlsbad, New Mexico. "Ominous Canopy" in black and white Guadalupe Peak, as seen from the Salt Flat are of Texas, after a heavy rain. "Ominous Canopy" Guadalupe Peak, as seen from the Salt Flat are of Texas, after a heavy rain. 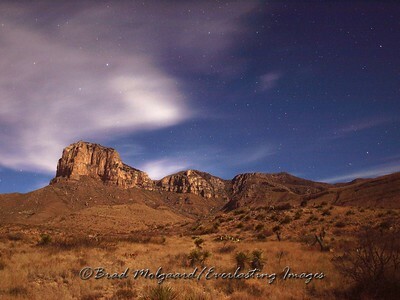 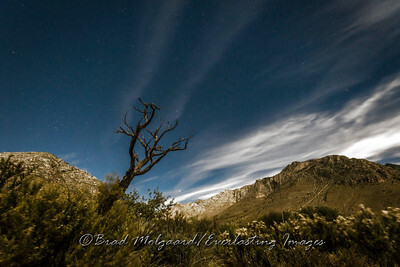 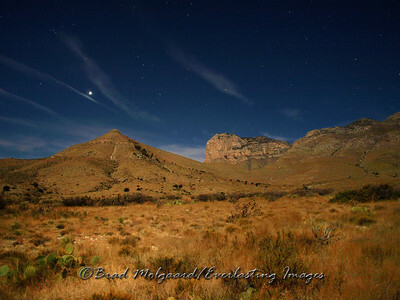 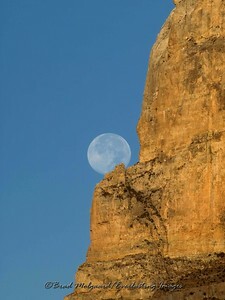 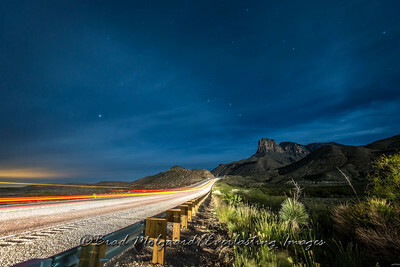 "Full Moon Portrait" El Capitan at the Guadalupe Mountains National Park, TX. 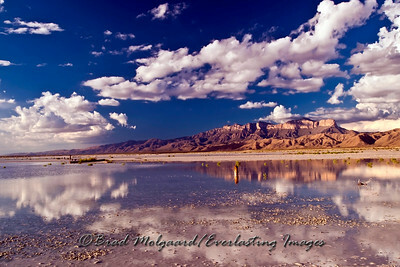 "Crystalline" Guadalupe Peak, as seen from the Salt Flat are of Texas, after a heavy rain.